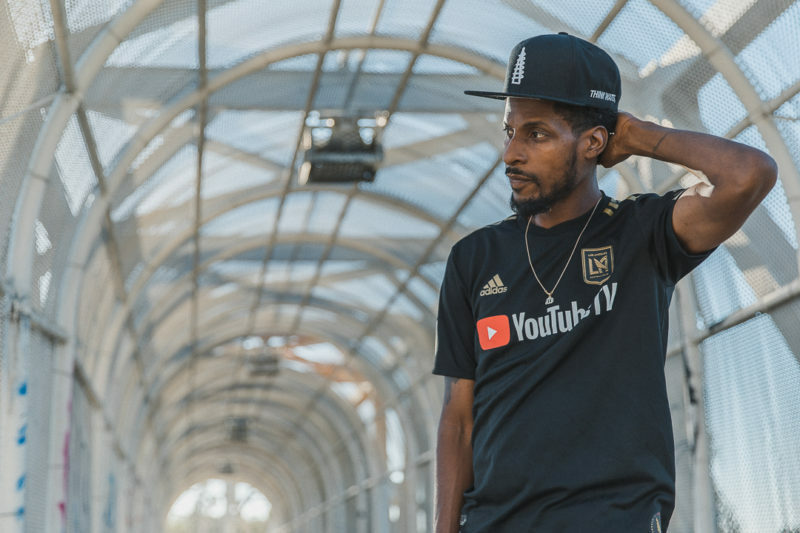 Paying homage to the team he has come to know and love, Watts native Stix has finally dropped “My Home,” an anthem for LAFC’s community. Soccer was never a big part of rap veteran Stix’s life. Stix, born Brandon Salaam-Bailey, grew up watching traditional American sports like football, baseball, and basketball. 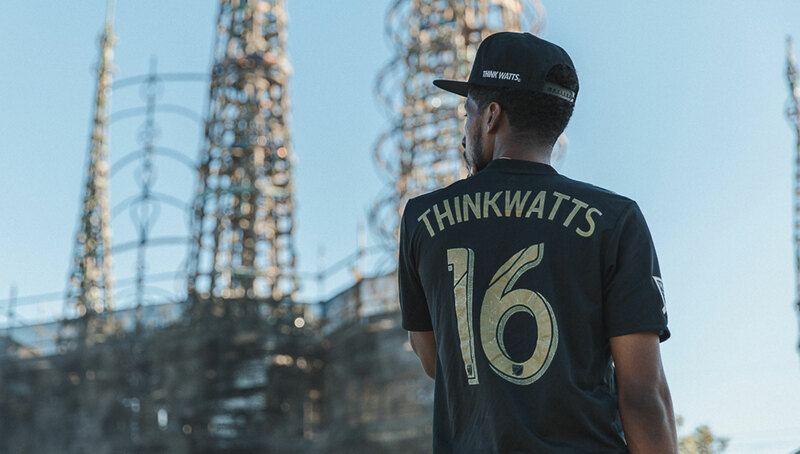 But things are starting to change for the Watts native through LAFC and their grassroots approach to representing their city. 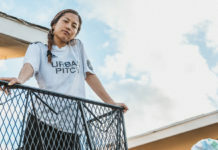 The rap veteran has dropped an LAFC-centric anthem “My Home” earlier today, just in time for the team’s late-season push into the MLS playoffs. With recorded chanting from the 3252 supporters’ group serving as the backdrop of the beat, Stix effortlessly drops bars about his favorite club and their culture. From bragging about the noise of the North End, where the 3252 stands in the Banc of California Stadium, to referencing the their “shoulder to shoulder” motto, the anthem highlights the best part of the team — its fans. Further representing the fans, Stix released a Spanish cut of the song entitled “Mi Casa” as well. Stix’s involvement with the team happened almost by accident. 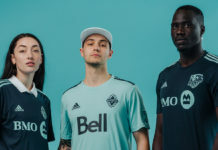 It started when he bought the team’s away kit, unaware it was a jersey for any team but drawn to its LA-centric color scheme. 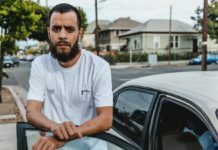 He wore the jersey at the Kush Groove concert hosted by legendary LA radio station KDAY, where photos of him in the kit reached LAFC’s front office. Like many other Angelenos, Stix is drawn to the club’s commitment to represent the city and all of its inhabitants. From their community-centric mantra to its diverse fan base, Stix instantly fell in love with the team after attending his first game. He’s also drawn to the product on the pitch, so much so that he can’t decide on his favorite player. 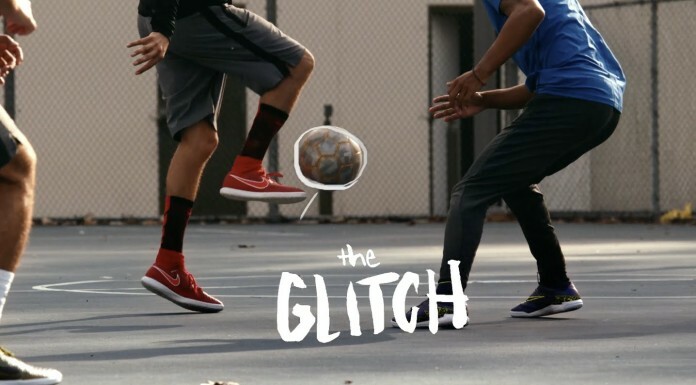 Stix also has an LAFC-themed music video in the works, which is surely set to drop soon. As far as further involvement with the club, he didn’t rule out the possibility of becoming a pre-game honorary falconer in the future. “I’m just saying I’m great with birds — my cousins and I in the past raised pigeons,” he says. Check out our podcast with Stix to learn more about his background in music and his giving back to the community through his Think Watts foundation. Listen to more of Stix’s tracks on Spotify and Soundcloud.